Welcome to Day #4 of Chocolate and Chilis Theme Week. 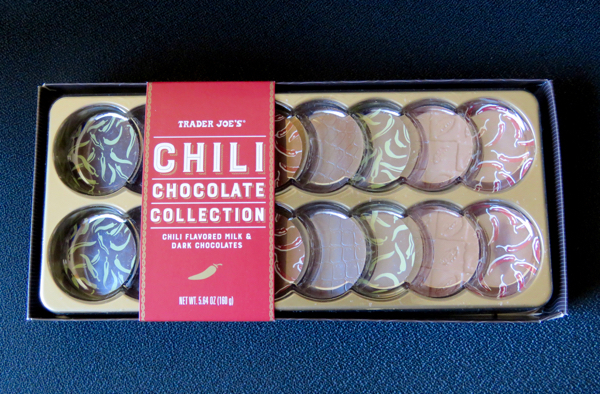 Trader Joe's (Monrovia, CA) came out with a 16-piece Chili Chocolate Collection this year that contained a mix of milk and dark disc-shaped chocolate rounds—each flavored with one of four different chilis. Flavors sampled the last two days: the Milk Chocolate Guajillo and Milk Chocolate Habanero flavors. 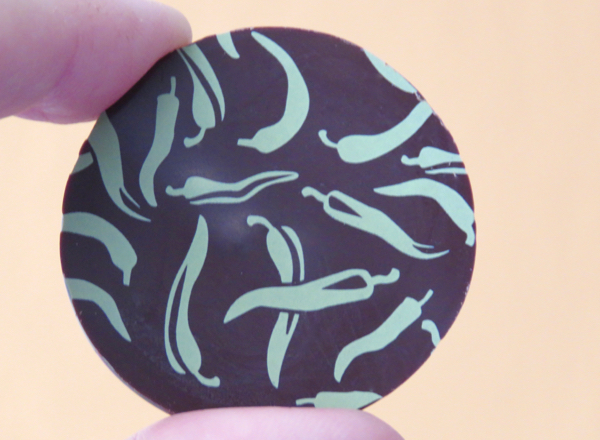 Today's dark chocolate Jalapeno Ganache was decorated with images of green chili/chile peppers and had a silky soft chocolate center layer. 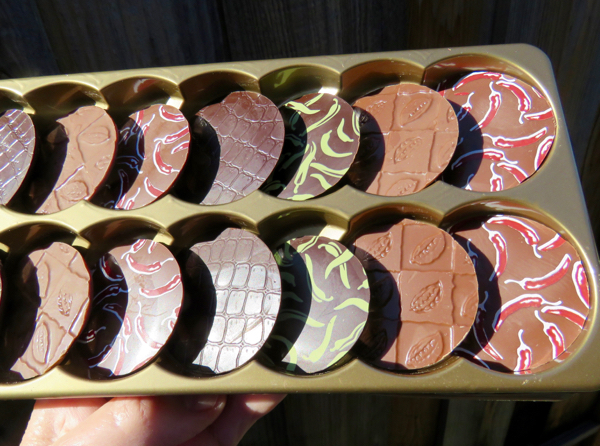 The dark chocolate ganache was "paired with the piquant flavor jalapeno chili" and covered in dark chocolate. Jalapeno peppers score 2,500 - 8,000 SHU (Scoville Heat Units) on the Scoville scale.